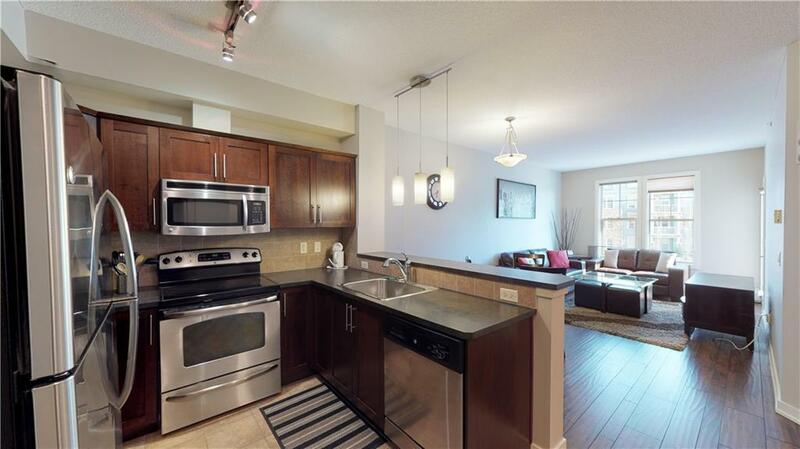 Gorgeous 2 bedroom/2 bathroom condo in Alora of Sunset Ridge. This bright and spacious property has been tastefully decorated with engineered hardwood floors, rich dark cabinets, stainless steel appliances and stylish window coverings. Relax and enjoy the lovely deck or BBQ with convenient gas outlet. 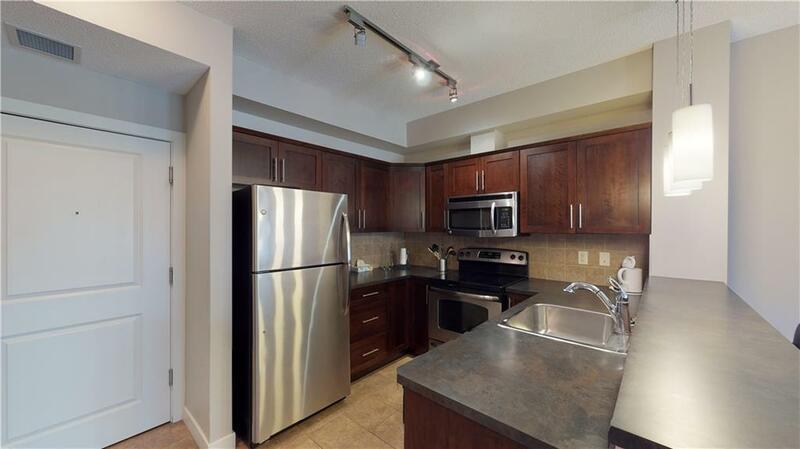 This unit comes complete with desk & home office station, in-suite laundry space with stacking washer & dryer and lots of closets and storage space. Nice sized walk through closet to ensuite off master Bedroom. 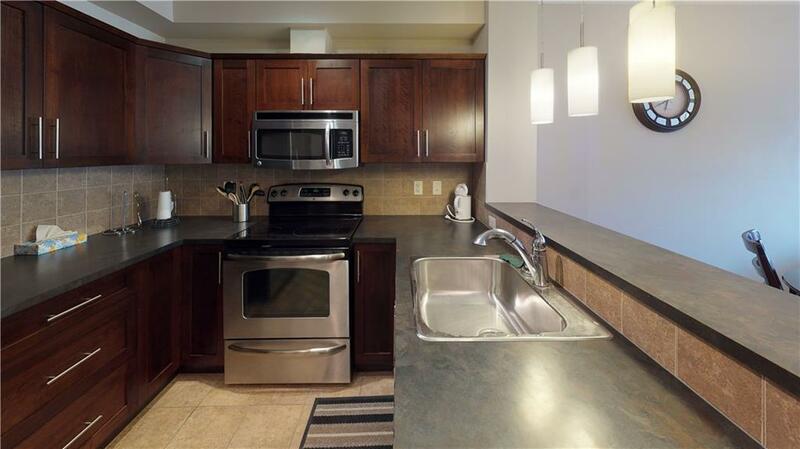 Titled underground secure heated parking + outdoor surface stall. 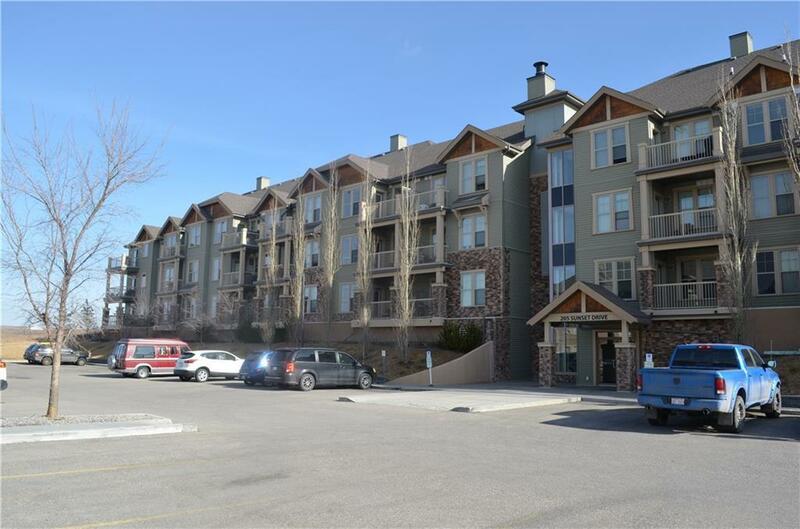 This wonderful complex has gym access and is walking distance to the Cochrane Ranch as well as a short walk to restaurants, coffee shop, dentist, hair dresser, liquor store, gas station, convenience store & other amenities. Furniture for separate sale.